Your 2017 horoscope predictions continue as we now look at Aquarius love, romance and relationships for the full year ahead in 2017. Your in-depth yearly Aquarius love horoscope 2017 is a relationship astrology reading looking in detail at your Aquarius love life, friendships, as well as family and professional relationships in the year 2017. Your Aquarius love horoscope forecast includes predictions for romance, Aquarius family and work as well as Aquarius love life throughout the coming year ahead. You can also read your full year Aquarius horoscope 2017 for free, covering life in general, love, money, business and work. Astrology predictions and horoscope forecasts for all zodiac signs appear in the horoscopes 2017 page. You can also revisit your love and romance reading in the 2017 Aquarius Love Horoscope. Your Aquarius love horoscope for 2017, featuring relationship compatibility and romantic astrology reading appears below. You have reached a year where all is not what it seems, with the gods pulling a bit of a bait and switch on you, but in a way that you definitely get to benefit from. Moving into the year with Venus, planet of love not only in Aquarius but here since early December, makes it clear from the get go that this is going to be a romantically charged year, right? Well, yes this is going to be a good year for matters of the heart, but not in the way that first impressions suggest. With Venus leaving Aquarius on the 3rd January and then not returning 2018, this may see romantic forces drop back just 72 hours into the year. However, having already spent weeks here before leaving and having spent both Christmas and the New Year in Aquarius, this is simply when the trainer wheels come off. In reality, where there is something super special and fateful developing this year is on the relationship front. A lunar eclipse in your relationship sector on the 11th February and a total solar eclipse on the 21st August, is a clear sign that fate is at work, for you don’t have an eclipse without fateful undercurrents in play. This also makes it important to let relationship matters unfold naturally, even after the lunar eclipse on the 11th February. Apart from Venus’ departure from Aquarius on the 3rd January and a lunar eclipse in your relationship sector on the 11th February, things could look a little boring, but don’t be deceived. Things will start moving on the romantic front with Mars’ return to your romantic sector on the 1st April and while Venus won’t return until the 5th July, there will be plenty of support to keep the romantic flame burning until she gets here. In fact, that whole period from the 21st April to the 31st July is the most romantically charged period of the year, with the first six weeks and the last four weeks the best. 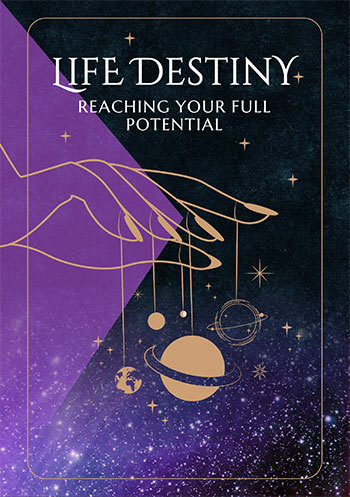 It is while this is still unfolding that whatever fate has in store on the relationship front will start stirring, starting with Mercury’s return to your relationship sector on the 6th July. The total solar eclipse on the 21st August is the first of two New Moons here this year, the first four weeks earlier on the 23rd July. Whatever is triggered by this solar eclipse will be in safe hands, with Venus returning to your relationship sector from the 26th August to the 10th September, to protect and run with anything this might trigger. 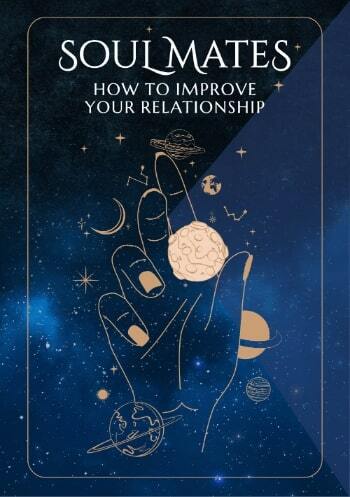 In all, the best relationship months of the year will run from Mercury’s return to your relationship sector on the 6th July to Venus’ departure on the 10th September, with the solar eclipse on the 21st August the epicentre. Useful for checking love horoscope compatibility between the Aquarius love star sign and other zodiac astrology signs, our 2018 couple's horoscopes are personal astrology readings for two complement the personal forecasts based on your precise and exact birth chart!